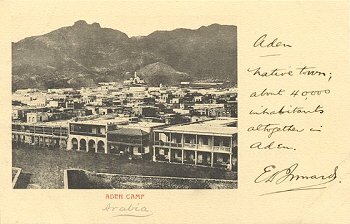 Title: Aden Camp with 'Arabia.' added below in pencil. Native town; about 40,000 inhabitants altogether in Aden.